I think if I were to sit down and begin writing a list about all of the things I love about G.O, I would not be able to complete it in the 504 days left of his service. Definitely high on that list would be his playful nature. I think following Curtain Call he lost much of that playfulness but I think his recent appearance in Mir’s chatroom in MBLAQ’s Daum Cafe not too long ago is a promise that his playfulness has not disappeared entirely, and has simply been on hiatus. Back on 28 March 2014 however, he was as cheeky and playful as ever at the Yeouido Fan Sign and that is the subject of today’s One Shot .gif. Something tells me that hanging out with G.O would be quite an adventure full of playful antics and many moments of endless amusement. 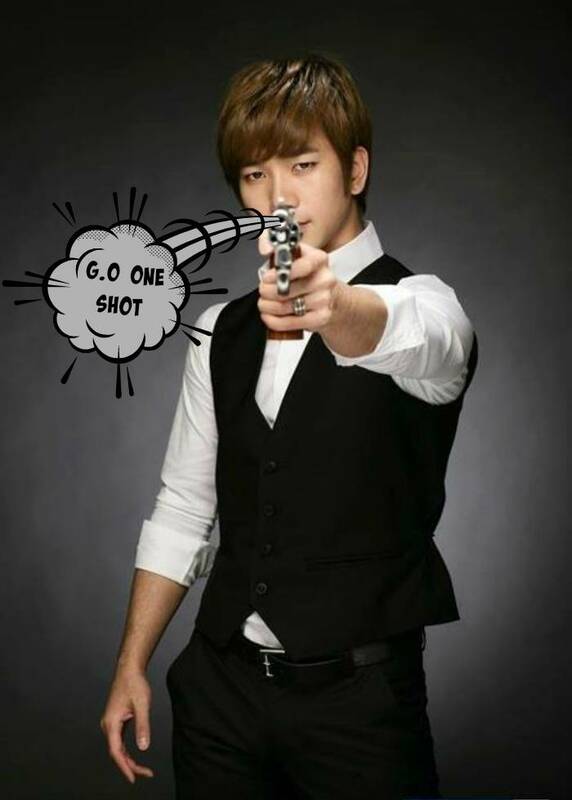 Categories: G.O Military Discharge, MBLAQ Musings, The G.O Files | Tags: G.O, G.O images, G.O One Shot, G.O's Fan Service, G.O's Military Service, 엠블랙, 지오, Jung Byung Hee, Jung Byung Hee images, MBLAQ Broken, MBLAQ G.O, MBLAQ G.O images, MBLAQ G.O One Shot, Yeouido Fan Sign 2014 | Permalink. How cute, he needs to do a fun summer photo shoot for us after his Discharge … and he must have bubbles!!! Somehow I think if he has a fan meeting following his discharge with a sign event, there will be bubbles and perhaps a water gun of some kind.